16.11.2015. Every year, Friedhelm Loh Group sends its second-year trainees to a monastery, where they form teams tasked with developing, planning and executing their own projects. This year’s theme was “Working together for the future of our region”. It challenged the young people to improve conditions in their own back yard. The founder and senior executives of the family-owned company have now awarded prizes for the best projects. How long does it take for a tin can to be completely eradicated by corrosion? What can be done to make a through-road less of a hazard to residents? What is the impact of immigration on the Lahn-Dill region? And how would the extinction of our native bees affect us? 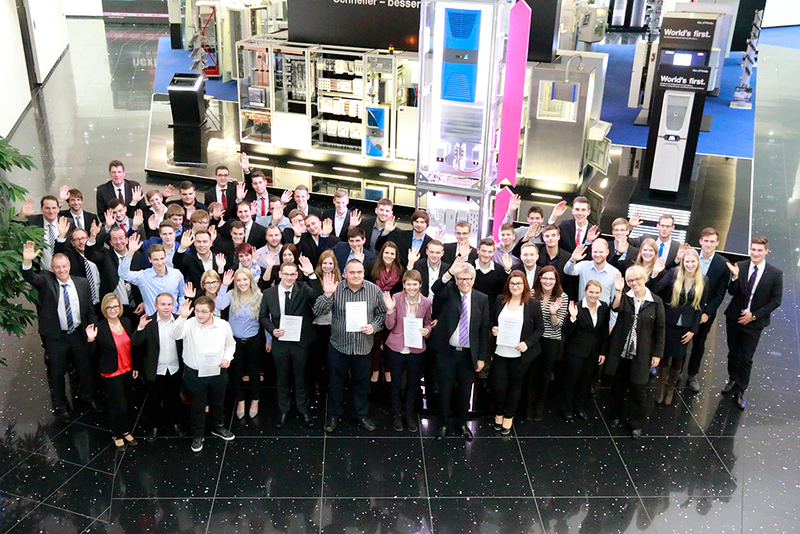 The trainees participating in this year’s projects displayed a great deal of hard work, commitment and enthusiasm. Their challenge was to make a real difference in their local community. They took the first steps at the traditional workshop held at Kloster Gnadenthal, a local monastery, in the summer. Three months later, the results are truly impressive. A panel of judges comprising senior Friedhelm Loh executives awarded prizes for the best projects: a bee hotel featured on Facebook, a campaign to remove refuse from a stream, and a pedestrian crossing designed to stop speeding received prizes from the founder and chairman Friedhelm Loh. “Towns and villages feel like home when local people get involved. A local community is like the house you grew up in, the place you feel most comfortable and secure. 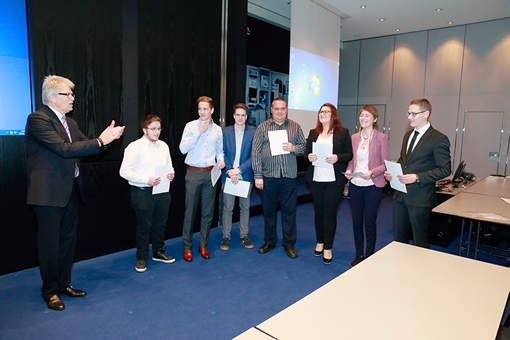 But to make sure we feel just as comfortable and secure there tomorrow, we need to take action today,” declared Friedhelm Loh Group chairman, praising the trainees’ efforts. The team comprising Mathis Lang, Robin Reichmann and Luisa Pfeiffer counted traffic and collected signatures in favour of a pedestrian crossing in Haigerseelbach, which earned them third prize. 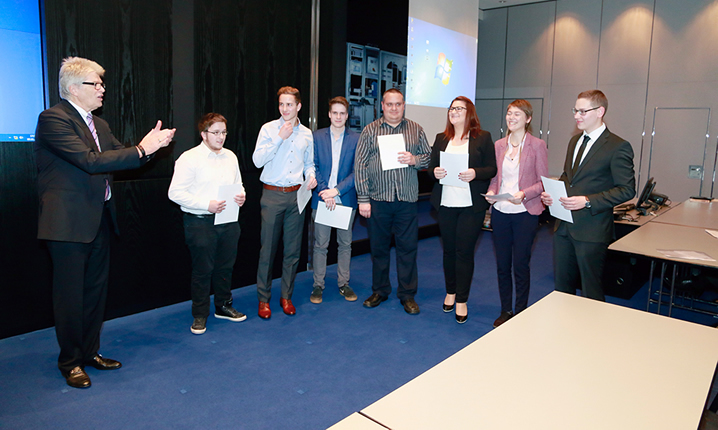 Second prize was awarded to Christian Jeuck, Marie-Kristin Georg and Niclas Losch for an environmental awareness campaign at a primary school in Haiger. They fished five sackfuls of refuse out of a 50-metre stretch of Haigerbach stream, and raised children’s awareness of the environment and the benefits of sorting waste with the help of imaginative teaching materials. 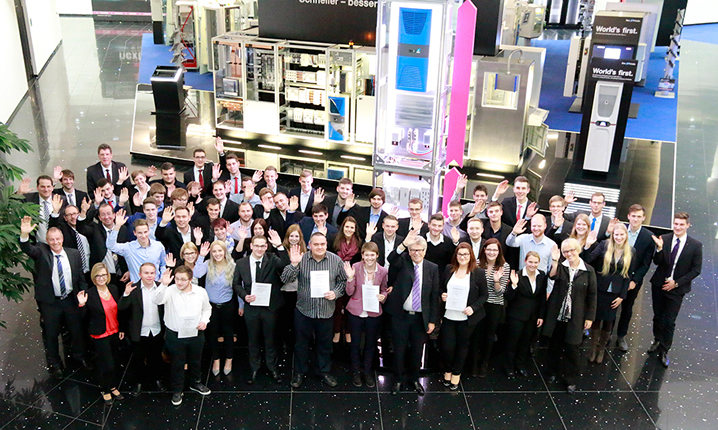 First prize went to the team comprising Franziska Herrmann, Alexander Syrjanow and Andreas Scharnagl. They not only built insect hotels with pupils from a primary school in Niederweidbach, but also placed a QR code on the accompanying information board, linking to a very professional-looking Facebook page. In future, visitors to the page will find a video on bees, the unsung heroes, produced by the team. The page also provides construction plans for insect hotels, and advice on protecting endangered species. “We have seen some really outstanding work, and are very proud of our trainees,” said Tina Pfeiffer-Busch, “As judges, our task was extremely difficult,” she added. The winning teams will be visiting the European Space Operations Centre in Darmstadt, BMW World in Munich, or Porsche in Leipzig, to discover the wonders of high-tech at first hand. Image 1: “Towns and villages feel like home when local people get involved,” said company chairman Friedhelm Loh, praising the winning team. The team had built two insect hotels with primary- school children and designed a Facebook page offering information, construction plans, and a video about the project. Image 2: In all, 55 trainees worked towards a better tomorrow for their local community, carrying out exciting projects to make a real difference in their region. Founder and chairman Friedhelm Loh awarded prizes for the best projects.